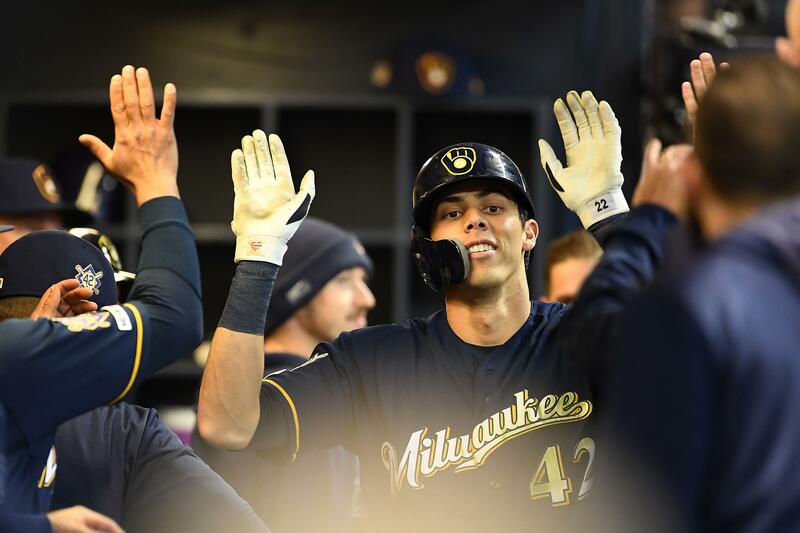 Whatever issues he might have had with his swing were clearly solved because by the end of the night, Yelich hit a career-high three home runs in a 10-7 rout of the St. Louis Cardinals . After a first-inning lineout, Yelich turned things around in a hurry by crushing Dakota Hudson ’s sinker down the heart over the left-center fence for his sixth homer of the year. He turned on reliever Mike Mayers’s high fastball and sent a moonshot into the second deck in right field. Yelich capped off his day with another opposite-field homer in the eighth inning, this time off John Brebbia . Last season seemed like it might be a career year for Yelich when he won the NL MVP and hit a career-high 36 homers. Yelich was able to hit so many home runs last year in part because an astounding 35 percent of his fly balls left the yard, by far the most in baseball .